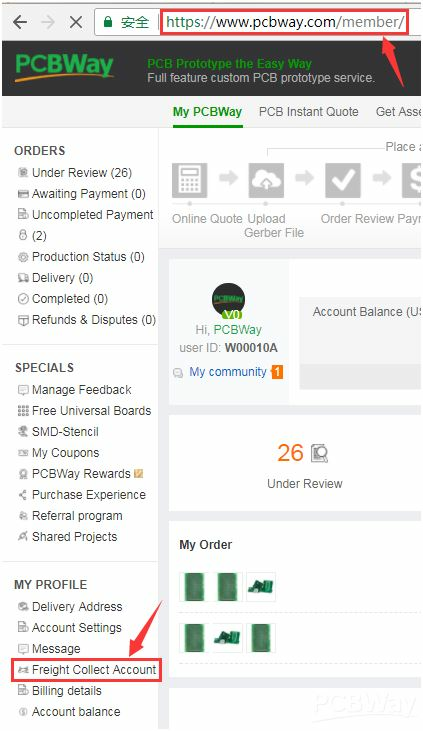 How to use your own freight account and add to your pcbway account? 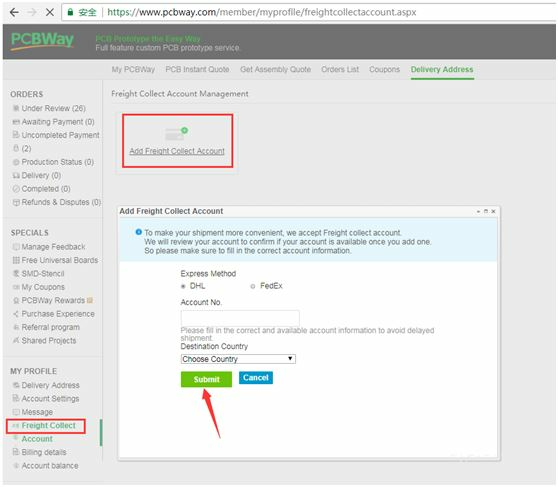 1) Sign in "My PCBWay", find " Freight Collect Account". 2) Add Freight Collect Account and submit for review. a) The delivery country should be same as the country of the Freight Collect Account. b) Currently only DHL and Fedex Freight Collect Account are supported. c) The accounts have to be kept valid, or it will be useless and affect delivery in time. If you have any question with ordering, feel free to contact us. Got it, thanks! We’ll use your feedback to improve our help articles. What if courier company (DHL etc.,) fails to deliver my PCBs as scheduled? Who will be responsible for the customs duty that may be levied at my country? Why I can not track my package with China post or HK post shipping method?